In the time it took you to read just up to this point, there was at least one reportable car crash in Texas (every 61 seconds). In Texas, someone is killed every two and a half hours from a car crash, with 13,616 serious injuries from crashes and 246,335 total crashes in 2015. If car crashes are a numbers game, the more prepared you are, the easier it is to deal with them. Hop into our passenger seat and we’ll drive you to the finish line. Another day, another incident of road rage caught on tape. Road rage doesn’t always have a correlation with a car crash, but it can. And when you sense someone around you may have road rage or it could be escalating, it’s good to be prepared. Leave early for your destination. You don’t think clearly when you’re rushed and panicking, and it could show up in your road maneuvers. Check the weather before you go. Houstonians may not really need to slap on the snow chains, but a freak freeze or summer storm can change road conditions in a heartbeat. Admit it, it’s so easy to get sucked into a road rage scenario. If someone honks at you, it’s just not as fun or satisfying to not honk back. But you must. If you’re honking, swerving to cut someone off, or following too closely to prevent a rude driver from getting in front of you, you’re upping your car crash chances. Just don’t do it. No, this has nothing to do with diseases, but it is indeed some preventive medicine. Let us write you a prescription. No amount – none – of research, planning, and prep can ever 100% prevent a car crash. Why? Because aside from your own piloting of the vehicle, you’re up against forces of nature, the car’s deterioration and, oh yes. Other drivers. Houston car accident lawyers have seen it all, and they’ve put out a wealth of free services you should take advantage of before you need it. If your budget also looks like it’s been in a hit and run, you can try searching for clinics in your area to find ones that suit your needs. And now for a public service announcement a lawyer would be proud of: Always check before you go. The website may not be up to date, meetings (and potential fees) may have changed, and details are important, such as “The first 75 people in line will be assisted” at the Houston Saturday Clinic. You know how you pay your car insurance, hoping you won’t ever need it? One major way to prepare for a car crash before one happens is to have a known, trusted entity waiting for that call you never hope to make. But what happens when your native tongue is not that of your lawyer’s? Avoid that problem with an attorney who speaks your language. Many sites have a tab or special link to click which speaks of the languages they’re able to offer. You can always contact your preferred lawyer and ask if anyone on the staff speaks your preferred tongue. But setting this all up ahead of time speaks volumes (in whatever your language of choice) because the last thing you’ll want to do in the immediate aftermath of a crash is try to translate or speak in any way except the one that makes you feel the most comfortable. Talk is Cheap, Actually, It’s Free! Despite the stereotypes, Houston personal injury lawyers are not ambulance chasers. They really want to help you, whether you’ve been in a car crash or you’re acting preventatively. Review lawyer websites and contact a few about a no-cost consultation. Some may even specialize in your preferred area, such as Houston truck accident lawyers, Spanish-speaking lawyers, and more. Sometimes, size does matter. And when you’re behind the wheel of a massive piece of automated machinery, you’re going to want lawyers who have experience in car crashes of your size. When you meet with lawyers at the clinics or request free consults, find out if your lawyer has experience with or specializes in truck accidents. The loads you carry are heavy, but you do not have to do it alone. Just as you should be adding a personal injury lawyer to your cell phone’s address book, you’ll want to have your mechanic or vehicle’s dealership saved, too. Don’t be a hero! Fill your gas tank. Yes, gas is hideously expensive. But running out of gas in the middle of a highway with commuters screaming past you has the potential of being a much, much bigger expense. Watch your wipers, replace them if they start to streak or snag, and keep your fluid topped off. Keep your eyes on the dash and when you see those “Needs Maintenance” or other lights come on, get yourself some help. They are not to be ignored. No, not while you drive! Put the phone down! You can actually prepare for a car crash without ever getting into your vehicle. The Insurance Institute for Highway Safety Highway Loss Data Institute offers both educational and consumer-interest safety videos. You’ll find every sort and style of video (including a price range of free to expensive) both online and available in DVD format. You can’t prevent a car crash by looking up information online, but there’s no end to the ways you can prep yourself. Before leaving the house, check the Houston Transtar Traffic Map and see whether your planned route is closed or congested. You’re more likely to experience a car crash if you’re anxious and nervous about having to pick a different route while you’re already en route. Local news stations are one of your best bets for on-time and always refreshed traffic news, so check before you leave. It’s not available at your local bookshop or major retailer, but you can purchase reading material to arm yourself about car crashes in your area of Houston directly from the Houston Police Department. According to the City of Houston’s official site, residents may purchase copies of traffic accident reports right from the HPD website. Each report costs $7.50 and is provided for educational, not sensationalistic, purposes. Actually, save the running for that annual 10K. Let the Texas Department of Transportation do it for you. 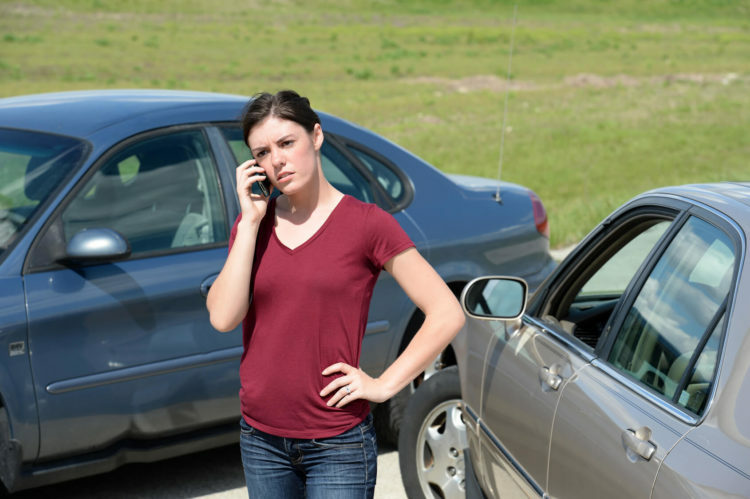 One more reason to enlist a Houston car accident lawyer before you get into a car crash is that these trained professionals know what could potentially happen after a crash, and they’re going to help you so that you know, too. Did you know that approximately 29,000 people survive a car accident every year, only to die in the resulting fire? It’s called a post-collision fire lawsuit. If someone in your car suffers injuries from a car accident fire in your vehicle, you could be liable. You may not know what to ask your mechanic to check out (such as a review of fuel system defects), but car accident lawyers in Houston can guide you through the process. You never want to be in a car accident at all, but the grave injuries people sustain from crashes range from scarring to completely and utterly disfiguring and debilitating. Not only could you hurt a passenger, but you could see your entire life savings, home, and more go to payments for medical expenses if you’re found liable. What were you doing on January 6, 2016? According to GPS makers, that was Houston’s most congested day of the year. Compared to the rest of the country, Houstonians have 24% more travel congestion, spend 32 more minutes every day in traffic travel time, and a full 1/3 of the days of the year give Houston residents traffic problems. It’s not getting better. Until we all get hovercars (which would probably then just result in a crowded sky), we’re going to need to work together to solve this issue. Let’s start by hearing what you’re doing to reduce or prevent the chances of a car crash. Have you already added a Houston personal injury lawyer to your squad? Leave us and our readers’ notes below and be careful out there!